How many emails do you have in your inbox? Five, ten, 100? More than 1000? Get a handle on your emails now and put them where they need to go. 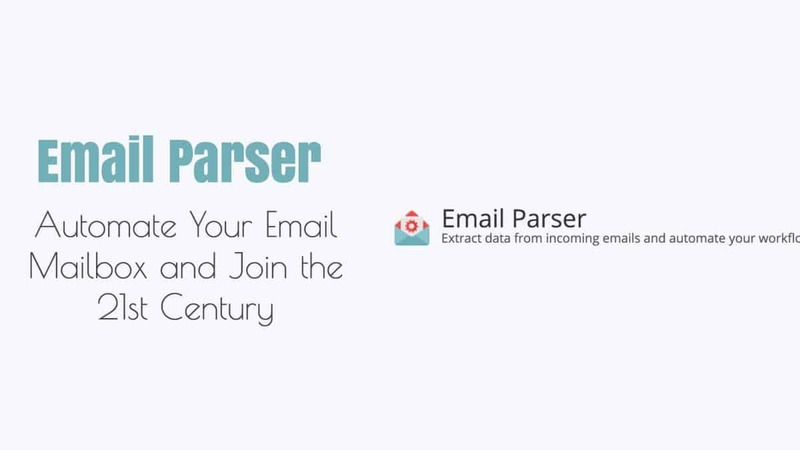 Automate your email and join the 21st Century with Email Parser. This handy app parses both email text and attachments from Gmail, Outlook, Hotmail, Exchange and Office 365, POP and IMAP servers, and EML, MSG and PST files and exports it to Microsoft Excel, Google Sheets, Microsoft SQL Server, MySQL, or PowerShell and C# scripting. You can easily set up Email Parser to filter using sender, subject, date, message contents, and much more. You can set up more than one filter too so you can further qualify out the email. It’s completely automated, so once you have it set up, it’s ready to go anytime. You choose how you want to handle your email, so you’re in complete control. Not sure how you should set it up? No worries! Email Parser comes with complete documentation, many examples, and different parsing methods, so you can choose the right one for you. If you still got trouble then their technical support is just an email away. Do you get a lot of spam? You can set up the Email Parser to not process unwanted emails, thanks to the powerful filters. You can also track what’s been done on your processed emails, if you need to know where something has been moved. One of the problems with large amounts of email coming is the ability to let the sender know you’ve received the email and have the data. Now, you can set up Email Parser to send an automated reply, letting the person who sent the mail know you’ve received it and processed it. Simple, easy, and straightforward. Some apps require that you download their app and run it only on your computer. Others are web applications that use the cloud. Both have their places, but if your company policy is against one or the other, your choices are limited. 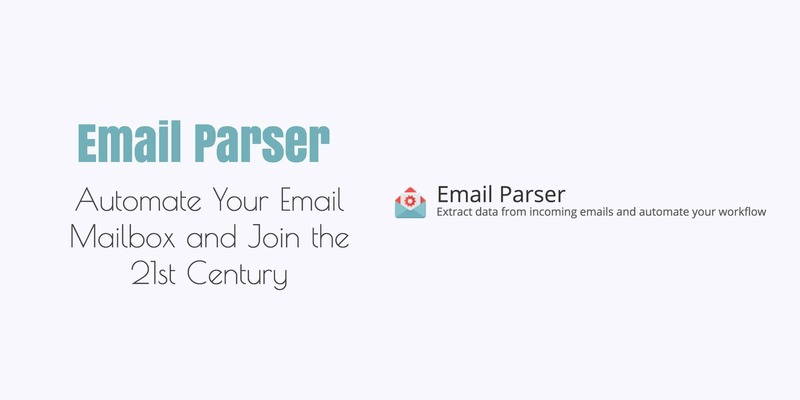 With Email Parser, you can choose either to process your mail in the cloud or on your machine. You can even set up Email Parser as a background process. Either choice is completely automated and unattended – leaving you to do more important things than just look at your email.